Here on New Years’ Eve-Eve (the 30th), I’m looking forward to quite a few things! 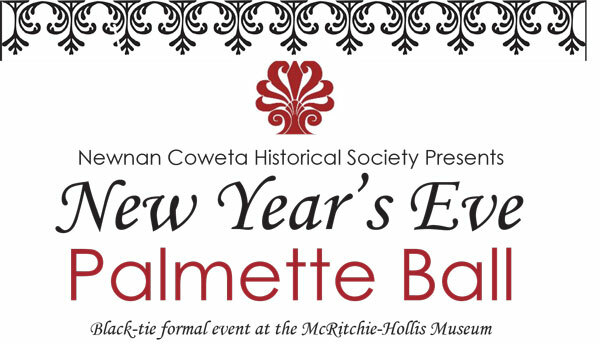 The New Year will mark a new ad campaign going out to local businesses in the Newnan / Coweta / Peachtree City area, but I’m the most excited about this year’s Palmette Ball put on by the Newnan Coweta Historical Society. Any excuse to break out the tux and benefit a great local organization – tickets should still be available; see you all in 2016! Merry Christmas everyone! i’m weeks behind in this post, but it’s not for lack of Christmas spirit. Newnan’s downtown square had a similarly festive spirit on the 12th with the Newnan Christmas Parade. 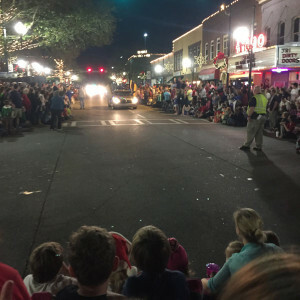 All enjoyed the lights, sounds, and revelry bringing in the Christmas season. 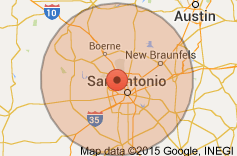 Google My Business – Multiple Companies per Address? As web designers, so much of what we do has no direct relation to our client’s website coding. A perfect case in point- Google My Business. 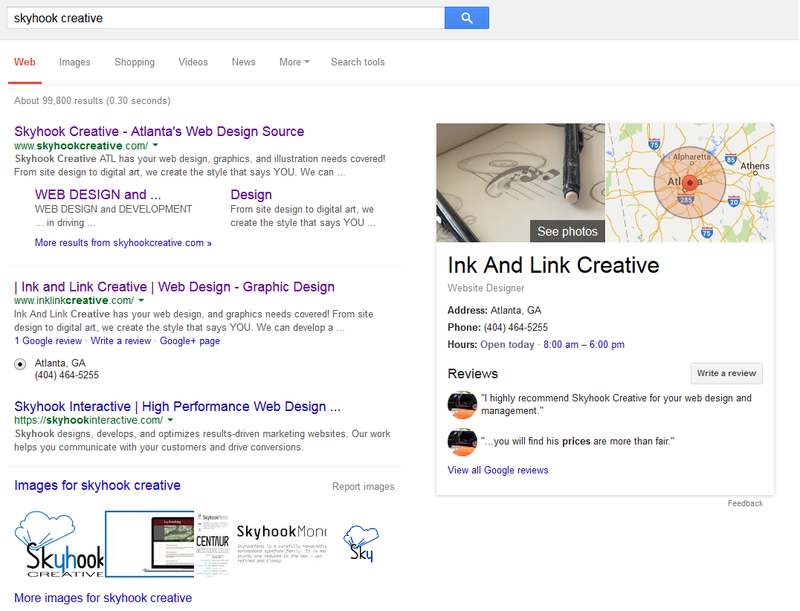 Formerly Google Places, My Business is tied directly to the detailed keycards on the side of the page when you do a specific search for a company or organization; depending on how robust the listing is, this section can provide business hours, an address, a map section, images from your site, and relative reviews both from across the web and Google +. Where it gets hairy is when Google gets confused. (Note- I searched for Skyhook Creative – our original name when our My Business listing was created – will save that transition story for another post). Recently, a client that we are managing social media for acquired a competing company. The acquired company did not have robust social media engagements (including My Business), but did have enough value with their existing web presence and company history to warrant maintaining both separately. However, the problem that we came across when creating a My Business listing was that when using the client’s address, the second company got flagged as a spam page since the client’s address was already registered. Welcome to the new blogging home of Ink and Link Creative! I plan to take this space and opportunity to share some of my experiences in the web design world. My goal is to make this a resource for both clients and designers to share ideas and creativity to make the web a better place. Ink and Link Creative (formerly Skyhook Creative) is a full-service web and graphic design company based in Atlanta, Georgia. We have had the pleasure of working with many different clients and companies over the past several years, with many different specialized needs and marketing plans to tailor to.